If you love muesli bars but don’t want to buy them due to the excess amount of sugar added to the commercial bars, you’re in luck. These tasty muesli bars are not only free of white sugar, they’re also made using store cupboard staples. Perfect for a last minute lunchbox bake up, and the best part is you can enjoy them for your healthy snack too. 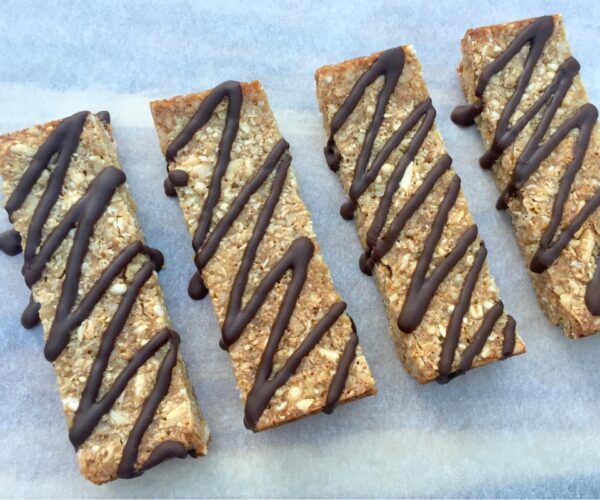 As part of the 28 Day Weight Loss Challenge we love homemade muesli bars. Join the 28 Day Weight Loss Challenge to access recipes such as Chewy Apricot Muesli Bars, No Bake Muesli Bars or Chocolate Muesli Bars. Preheat oven to 150C and line a loaf pan or similar with baking paper and set aside. Do a quick blitz of the puffed rice, rolled oats, coconut and smoothie mix/cacao in a food processor. Do not over blitz, leave some texture. Over a medium heat, heat rice malt syrup and coconut oil until they begin to bubble. Remove from the heat, add in the peppermint extract and mix well. Add the dry and wet mix together and mix until well combined. Press firmly into the prepared tin and place in the oven for 15 minutes. Cool completely in the pan before cutting into 6 pieces. Melt chocolate using your preferred method and drizzle over the top of the bars. Pop in the fridge or freezer to set. Store in an airtight container in the fridge for 4-5 days. Want to access thousands of healthy recipes like this one? Love the sound of this delicious recipe? 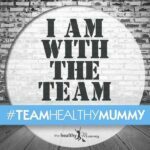 Want access to thousands and thousands MORE healthy recipes just like it? Then be sure to check out our 28 Day Weight Loss Challenge. 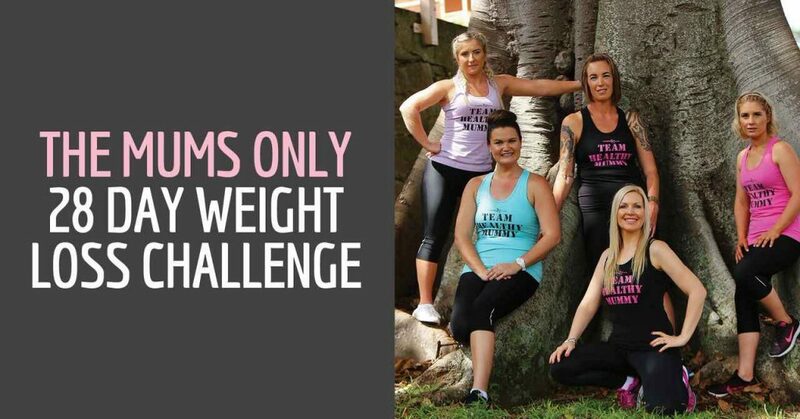 Our 28 Day Weight Loss Challenge is a family-friendly, breastfeeding-safe program designed FOR MUMS to help them tackle their health and lose the baby weight.